On October 19, 2018 over 1100 guests attended Galalicious in support of Hospice Vaughan. 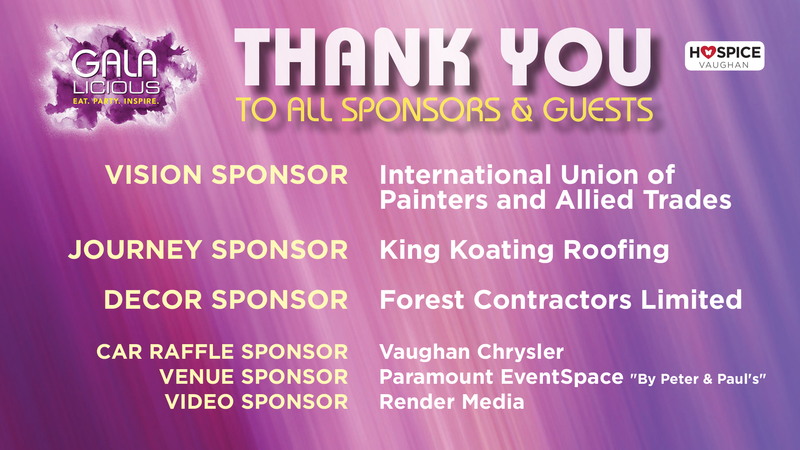 Proceeds from this sold-out event allow Hospice Vaughan to continue providing much needed support and compassionate care to individuals and their families coping with life limiting illness or dealing with the loss of a loved one. 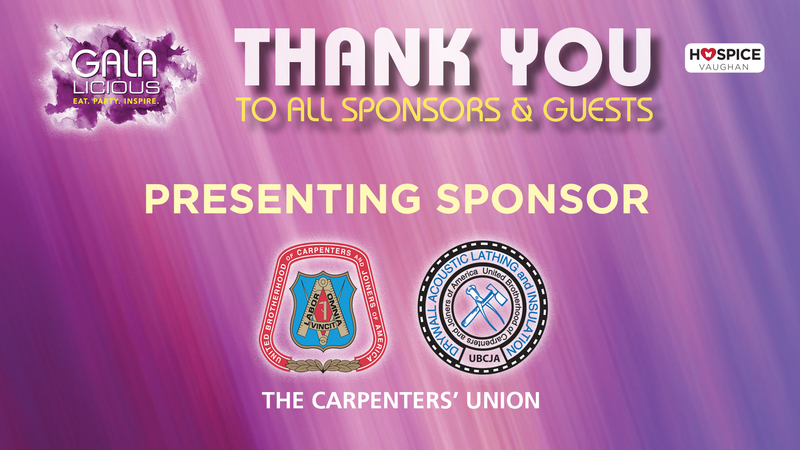 Special thanks to the evening’s presenting sponsor, The Carpenters’ Union, for their generous support of Galalicious 2018 and the journey to providing a new Hospice Vaughan residential facility. 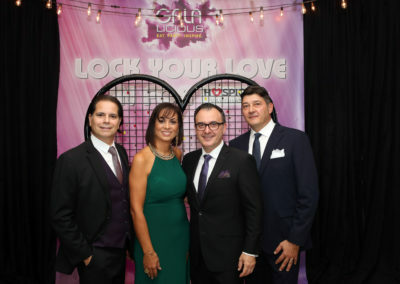 Hospice Vaughan’s Galalicious celebrated “Lock Your Love In” for Hospice, where patrons purchased unique heart locks permanently locked onto a steel heart structure to be placed in the Hospice Vaughan Residence gardens. These locks symbolize the uniqueness of every community member, eternally brought together in support and love. This year, two Honorees were given special recognition for their commitment to the Hospice Vaughan cause, Maria Tatangelo (Community Ambassador Honouree) and The Carogioiello family (Leadership Honouree). Like its name sake, Galalicious served up sumptuous food and was hosted by John Catucci, former host of Food Networks “You Gotta Eat Here”, who entertained the captivated crowd. The event also featured a draw for a new Fiat 500 Lounge, generously sponsored by Vaughan Chrysler, with the lucky winner being drawn that evening. Throughout the evening guests participated in a myriad of events from the silent auction to “heads or tails”, to mystery take out boxes. Truly a successful event. A special thanks to the many volunteers who worked endlessly to make Galalicious a success. Stay tuned and see you all next year! FOR MORE INFORMATION ON OUR CAR RAFFLE - CLICK HERE!